Here is your chance to purchase an amazing property in the highly coveted Belmar Gardens neighborhood. As soon as you step inside you will see the beautifully refinished original hardwood flooring and large stone fireplace. There is a cozy space tucked in the corner of the main floor with its own fireplace, perfect for an office or reading area. The master bedroom is upstairs and has a large bathroom with extra storage. This home has a large corner lot, RV parking, oversized garage, detached work shop and zoning that allows horses and some farm animals. Conveniently located a short distance from Belmar Park with equestrian trails and an open space riding area. The large back patio and many mature trees on the property create private retreat for you to relax and unwind. 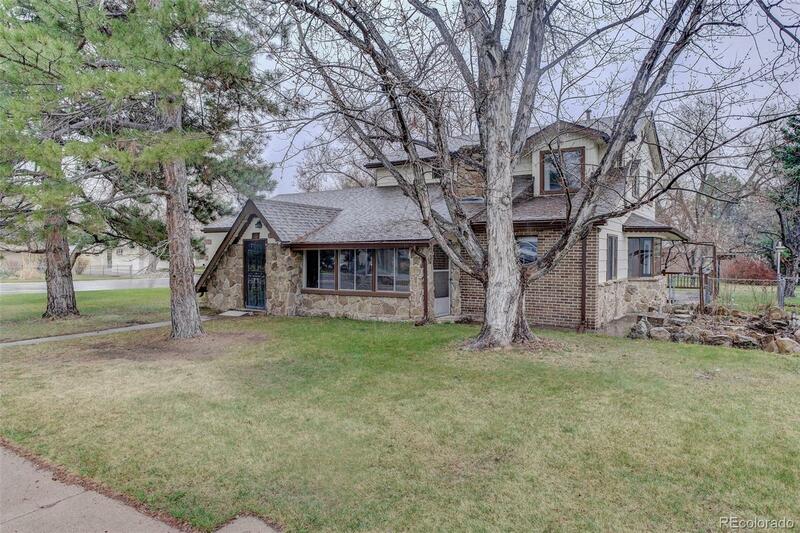 This home has an abundance of potential, come and see it today!